The Belgian company Ardennes-Coticule, founded in 1998, is carrying on the business activities started by the first owner, Burton, in 1865, maintaining the age-old Renaissance knowhow in the production of the whetstone Coticule. 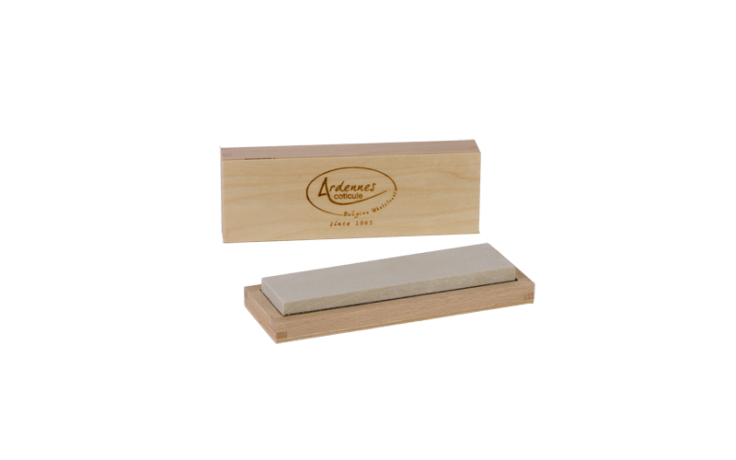 The sharpening stone is mined from soft, grey-yellow sedimentary rocks built up from clay and volcanic ash, the consistency of Ardennes’ soil. An ideal, quick and delicate way to sharpen your valuable knives and razors.